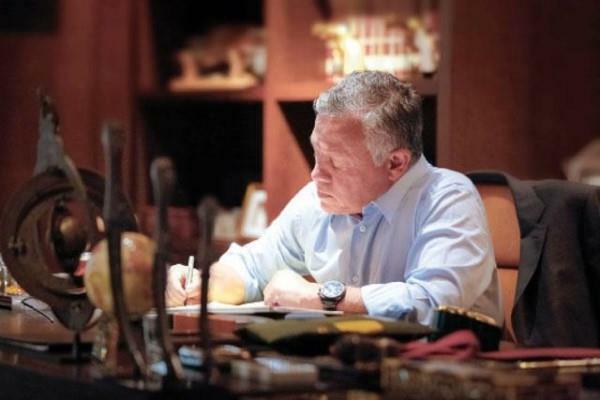 (MENAFN - Jordan Times) AMMAN — Experts, on Wednesday, weighed in on His Majesty King Abdullah's article on social media saying it includes ideas on how best to guarantee freedom of opinion, while detailing measures needed to end the spread of hate speech and fabricated news. The King's article 'Social or anti-social media?' which went viral across social media platforms and was published by media outlets, comes at a time when there is a dire need for a blueprint on how to make optimal use of social media, while preventing any misuse of these platforms, experts said. It is the responsibility of all segments of society to put an end to the chaos in the cybersphere, they said, adding that empowering professional media outlets and providing them with information on the spot is essential in the fight against fake news and rumours. The government's transparency and openness and provision of information are also a must, especially in times of crises, they said. 'The King stressed the importance of these channels by stating that he himself uses them… The king defended freedom of expression… He stresses on the right of all to access information… The King's article address one of the most important issues with which Jordan is facing,' Bassem Tweisi, dean of the Jordan Media Institute, told The Jordan Times. 'A minority of social media users who have technical capabilities to reach out to a wide audience often misuse these platforms and cause confusion, which affects the public mood and sphere, and spreads negativity and rumours,' he said. Media literacy is key to combating the misuse of social media and fake and fabricated news, stressed Tweisi, adding that media and information literacy should be a part of school and university textbooks. 'The government needs to be open and provide information and be transparent as it shoulders part of the responsibility too,' he said. Khaled Al Qudah, a Jordan Press Association council member, added that social media becomes the alternative for mainstream media and professional media outlets amidst the absence of information, especially at times of crisis, when there is a thirst for information. 'Citizens resort to these platforms when they do not find satisfying answers on mainstream and professional media outlets, and they find information faster on these platforms,' Qudah told The Jordan Times on Wednesday. 'As fake news on social media travels faster than the truth, the government shoulders a major responsibility in providing media with information and not leaving these media outlets helpless, seeking information from social media,' Qudah said, adding that messages should be first given to the professional media outlets to share the news via these institutions. There is also a need to address the root causes of the spread of hate speech, he stressed. 'There is hate speech, as citizens feel there is no justice and want to see concrete efforts in fighting corruption. There are rumours, as the media outlets are not given the information they seek at the time they want… Social media is important as a conduit for messages, but mainstream and professional media are the key in delivering the right information to prevent any misinterpretation,' he said. Lawyer, Saddam Abu Azzam echoed similar remarks, saying this is not just a Jordanian issue, but a global one. 'Therefore, it is the responsibility of all to combat misuse of social media and better access to information is essential in this battle,' Abu Azzam told The Jordan Times Wednesday, adding that 'we need a better version of the Access to Information'. 'Schools, universities, places of worship, all have a role to play. The King's article is a call upon all to shoulder their responsibilities to counter this phenomenon,' he said.